It’s difficult to plan for everything you might need in an interview. For instance, what if it rains, or snows? What if you develop a headache? What if you’re waiting for the interview and your stomach starts growling? There are plenty of “what ifs” that can pop up before an important interview. With that in mind, we’ve compiled the ultimate interview checklist to help your next job hunt go smoothly. Printed directions to the interview location– Your phone’s navigation system is not completely reliable. To make sure you get there on time, print out directions to the interview location. You might want to have a map in your car, too. And if you have time, consider swinging by a day or two before the interview to get an idea of how long it takes to get there. Multiple copies of your resume– You’ll need more than one resume copy on an interview checklist. Rather than expecting a one-on-one interview, always assume you’ll be interviewed by three people. List of references– Provide your interviewer with a minimum of three references, and include contact information (name, phone number and email address). Provide work samples– A great way to impress the interviewer is by having samples of your work accomplishments, whether a USB stick or printed documents showcasing your portfolio. Deodorant– Some deodorants don’t last the whole day, especially if you’re nervous. Have some handy in case a quick reapplication is necessary. Pain relief medicine– Keep some Advil or Motrin in your bag to avoid having aches and pains which can negatively affect your interview. Snacks– Having a granola bar handy will help you from being distracted by hunger before or during an interview. Water bottle– You don’t want to show up parched for a job interview. Always have a water bottle with you in case your throat gets dry during the interview. Mint gum– Chewing gum before an interview will freshen up your breath, but get rid of it before walking into the interview. Hairbrush or comb– You never know when wind or rain will prevent your hair from being interview-ready. Kleenex– Come prepared with tissues, especially during allergy season. Constant sniffling doesn’t look great in an interview. Plus, tissues are great for lipstick touch-ups or other minor emergencies that always seem to happen at the wrong time. Pocket mirror– Double-check to make sure that your makeup hasn’t smudged and that your hair and teeth look cleaned up before the interview. This will give you a chance to put those previously mentioned Kleenex to work! Umbrella– Always be prepared for rain. Any interview checklist should include an umbrella. Hair tie and bobby pins– Just in case you want to pull your hair back and secure it for a professional interview look. Stain remover pen– Carrying a stain remover pen (such as Tide To Go) is a good defense against accidental spills. Notepad and pen– Along with allowing you to write down someone’s contact information, having this item on the interview checklist will show the interviewer that you are very prepared. If you take a quick note or two during the interview, it will also show that you are interested in what the interviewer has to say. Cash–You may find yourself parking at a meter that only accepts cash, or you may need to pay a toll on the drive to the interview. It’s a good idea to always carry some extra cash. Band-Aids– Whether you’ve developed a blister from your new shoes or cut yourself printing out a stack of resumes, you never know when a Band-Aid will come in handy. Business Cards– Though the practice of handing out business cards during an interview is no longer trendy, it’s still a good idea to have them available. It will help you avoid looking unprepared if your interviewer hands you a business card and asks for yours. Dental floss– You don’t want to look in a mirror after the interview and realize that your potential employer was staring at a piece of broccoli lodged between your teeth, do you? 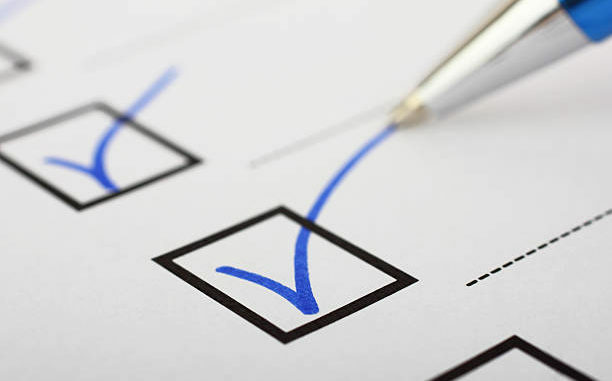 This item, while often overlooked, is one of the most important on any interview checklist. Do you have something to add to this ultimate interview checklist? Let us know!